The morning after the fire, the Labour MP, David Lammy, took to Twitter to beg for information. He wanted to know if anyone had heard from Kahadija Saye who lived on the 20th floor with her mother. ’She is our dear friend, a beautiful soul and emerging artist’, he pleaded. There were no replies. 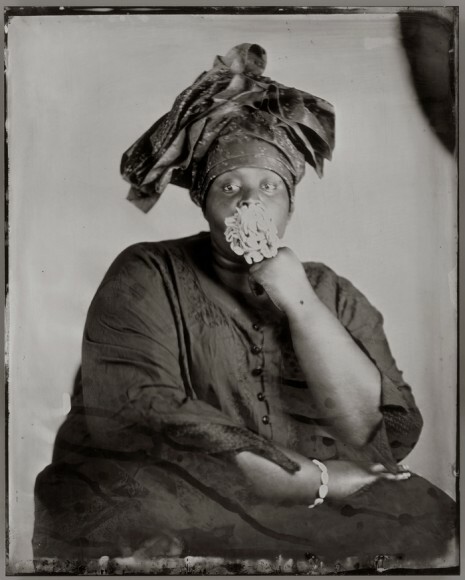 I myself have never met Khadija Saye. My only qualification for writing about her is that I knew her art. Various acquaintances of mine who have met her –people who work in TV, other artists – are agreed that she was warm, funny, excited and delightful. I can’t say any of those things. But I can say that Khadija Saye was not, as David Lammy well-meaningfully puts it, ‘an emerging artist’. Real artists are never emerging. They have already emerged. To understand why I write that you need to imagine the Venice Biennale. Every two years, the entire international art world descends upon the tiny island of Venice to argue about who is best at this or that. They call it ‘the Olympics of Modern Art’. It’s a crazy, frantic and occasionally horrible event that chews up artists and spits then out. This year, Khadija Saye showed up in Venice. Indeed, she is still showing there, until November 26, in an exhibition at the Diaspora Pavilion. At the Venice Biennale, all the exhibiting nations get pavilions to themselves. This year, there were 87 of these national pavilions scattered across the city, alongside countless smaller exhibitions and displays filled with tens of thousands of artists. So the Diaspora Pavilion – devoted not to a nation but to a situation: a sense of displacement – had its work cut out getting noticed. But it did it. And it did so largely because of Khadija Saye. Finding the pavilion wasn’t easy. It’s located in a narrow back street off the Rialto in a crumbling palazzo that doesn’t show up on Google. To enter, you need to struggle through a curtain of multi-coloured plastic that makes you feel as if you are stepping into another world. Inside, famous artists display their work. Yinka Shonibare MBE has a library full of African books. The film-maker, Isaac Julien, award-winner at Cannes, has a beautiful film about the transport of African slaves to Europe. But when I came to write my review it was Khadija Saye’s contribution that I remembered. I’d never heard of her before. She was showing a set of small and haunting photographs of women in African dress. Some were self-portraits. Others were pictures of her mother. All had an ancient look to them as if they’d been discovered in some 19th century scrapbook left behind by a retired colonel. This ancient look was the result of a process called wet collodion tintype. It’s an early photographic process that results in an especially soft and haunting array of grey and black. In my review I said that Khadija Saye ‘heaps poetry and sadness onto her imagery’. In a biennale full of posturing and preening, games-playing and posing, her heart-warming imagery, with its palpable sadness and its sense of a lost colonial past, saved the day. So no, I’ve never met Khadija Saye. But I know she stood out from the crowd. And that she was a true artist.